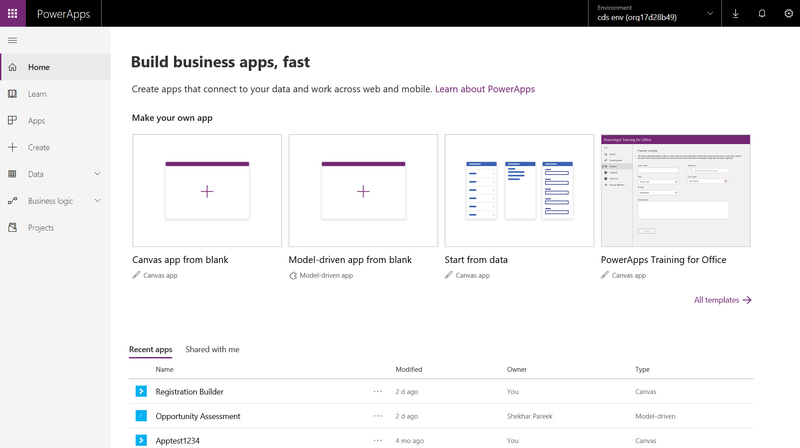 The PowerApps team has been busy improving both the authoring and consumer experiences so that it's easy to find the newest templates, locate the apps you own, and discover apps that have been shared with you. Let's take a closer look at the three enhancements that would be 100% rolled out to production in the next one week. 1. We’ve made it easier to discover the entry points for creating canvas and model-driven apps. We’ve taken away the mode switcher and brought both model-driven and canvas modes under the same Home page. Notice the icons (in blue rectangles) in the screenshot below, which designate the app type (canvas or model-driven) that’s associated with each artifact. You’ll continue to see these visual cues across PowerApps to help you learn about the artifacts that are relevant for building model-driven or canvas apps. 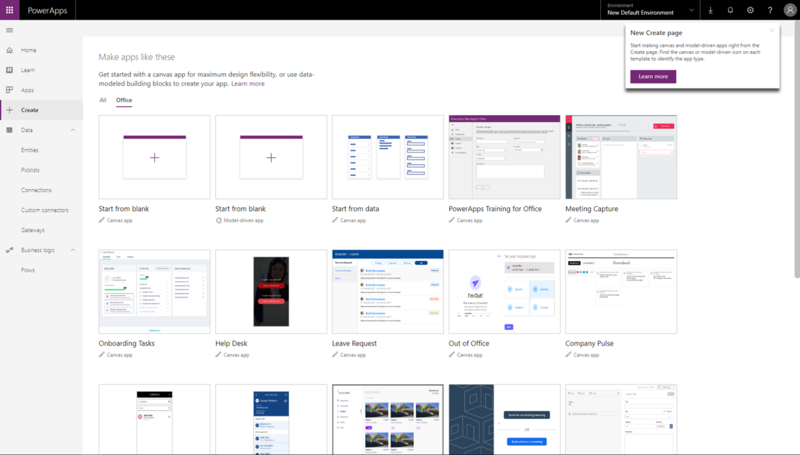 To see the list of all artifacts across PowerApps that have a visual cue, check out this documentation page. 3. We’ve also made it easier for you to discover both canvas and model-driven apps through a unified apps list that lives on both the Home page and the Apps page. As we work to continuously improve your experience on PowerApps, we’d love to gather your feedback. Do reach out to us in the comments section below.